Nords: Heroes of the North is Plarium’s next MMORTS adventure, taking the best parts of their other popular titles, tweaking the formula and adding a different setting the Nords is challenging, visually pleasing and fun. Nords: Heroes of the North takes place in the land of Shingard, a land that is on the edge of being plunged into an enteral winter by the evil Ice Queen and her army of the undead. Standing between her and this almost inevitable fate are the Northmen, Elves and Orcs which are the playable factions in this strategy title. From game start players will be captivated by the strong art style of the game and the professional voice acting which instantly puts it leagues ahead of other MMORTS titles with production values that are rarely seen in this genre. It’s a pleasing addition for your eyes and ears but how does the gameplay stand up? 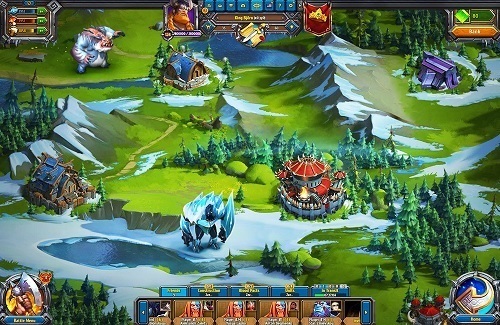 Gameplay is exactly in line with what you would expect from a strategy game for your browser with players developing their settlement (visuals change based on your faction) while collecting resources, defending against attacks, constructing various structures, upgrading units and everything else in between. Nords does offer all these game mechanics in pleasing and well-designed ways with even one or two elements having a spark of innovation. In a genre of often very dull copycats and rip-offs the level of production value across the board is well welcomed and a standard Plarium has done well to achieve across a number of its games. The best element of Nords is undoubtedly the champion system where players can equip the leaders of their army with various equipment pieces to give you that edge on the battlefield. These can be collected for successful battle campaigns with unwanted items broken down to improve your stronger items so you can always make progress in this department if luck isn’t falling your way. 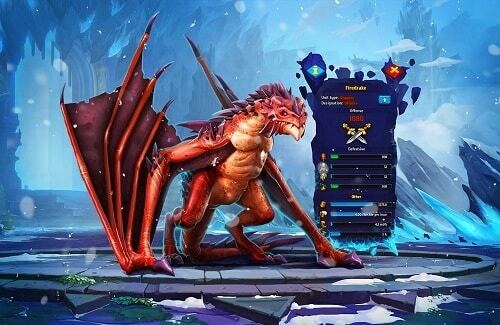 With high production values, a hint of RPG elements and all the other features you would expect to see in a MMORTS experience Nords: Heroes of the North is one of the stand out picks in an often disappointing genre. Choose from 3 factions (Nords, Orcs and Elves) to battle the Ice Queen’s undead army. Customise your own champion to take the battlefield with looted and upgraded equipment. Upgrade structures and create an army of various battle units. Watch your battles play out and engage in boss style encounters. Team up with other players, earn achievements, claim rewards and much more.